Subrata Mitra is regarded as perhaps the greatest ever Indian cinematographer, who revolutionised prevailing aesthetics in Indian Cinema with innovations designed to make light more realistic and poetic. Mitra was born into a middle-class Bengali family on October 12, 1930. Even as a schoolchild, he would cycle with classmates to the nearest cinema to watch the British and Hollywood films. By the time he was in college, he had decided he would either become an architect or a cinematographer. Failing to find work as a camera assistant, he reluctantly continued studying for his science dgree. In 1950, the great Jean Renoir came to Calcutta to shoot The River. Mitra tried to get a job on the film but was turned away. However, with the efforts of his father, he was given permission to watch the shooting. Out there he used to make extensive notes and meticulous diagrams detailing the lighting, movement of camera and actors. In fact, one day the cinematographer Claude Renoir asked for his notes to check lighting continuity before doing a retake! Also visiting the sets on Sundays and holidays to watch the shooting was a graphic designer and a friend of the art director. Mitra became friends with him and would visit him every day and describe in great detail what he had witnessed at the shooting. The other gentleman was planning a film and one fine day he asked Mitra to photograph the film for him. And so at the age of 21, Mitra became a director of photography. The film he was to photograph – Pather Panchali and the director? – Satyajit Ray of course. Pather Panchali (1955) was shot over four years in chunks whenever Ray was able to find funds. In fact for 18 months production shut down entirely until Ray’s mother talked to a friend of a friend of the Chief Minister of West Bengal who agreed to finance the remaining part of the film. Pather Panchali led to a collaboration with Ray which produced 10 films with masterful cinematography in 15 years. When Mitra started watching films in the 1940s and 1950s much of Indian cinematography was completely under the influence of Hollywood aesthetics which mostly insisted on the ‘ideal light’ for the face using heavy diffusion and strong backlight. But according to Mitra, Hollywood also had rebels like James Wong Howe who was able to separate the foreground and the background with careful lighting in films like Come Back Little Sheba (1952) and The Rose Tattoo (1955). Some other films which have inspired Mitra include Robert Flaherty’s Louisiana Story (1948), Vittorio De Sica’s Bicycle Thieves (1948), Akira Kurosawa’s Rashomon (1950) and Alfred Hitchcock’s I Confess (1952). Mitra made his first technical innovation while shooting Aparajito (1956). The fear of monsoon rain had forced the art director, Bansi Chandragupta, to abandon the original plan to build the inner courtyard of a typical Benares house in the open and the set was built inside a studio in Calcutta. Mitra recalls arguing in vain with both Chandragupta and Ray about the impossibilities of simulating shadowless diffussed skylight. But this led him to innovate what became subsequently his most important tool – bounce lighting – and this a whole 10 years before Sven Nykvist claimed to be its originator in American Cinematographer! Mitra placed a framed painter white cloth over the set resembling a patch of sky and arranged studio lights below to bounce off the fake sky. Jean Renoir often complained that cameramen often create lighting that doesn’t exist in the world and felt that they should in fact study how nature illuminates everything. This became the guiding force in Mitra’s work. He would almost always justify the lighting of a scene by simulating the source of light. 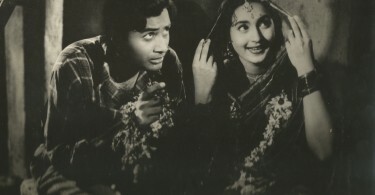 Apart from his brillaint work with Ray on films like Charulata (1964), their last film together, Mitra also shot four feature ilms for Merchant Ivory Productions in the 1960s – The Householder (1963), where he photographed most of the film with six photoflood lamps, Shakespeare Wallah (1965), The Guru (1969), which was the first Indian film shot entirely with halogen lamps and Bombay Talkie (1970). He also achieved much acclaim for his lyrical imagery in the Raj Kapoor-Waheeda Rehman starrer Teesri Kasam (1966), produced by Shailendra and directed by Basu Bhattacharya. Subratada won the National Award for his work in Ramesh Sharma’s fine political thriller New Delhi Times (1985), one of an array of awards he has won including the Eastman Kodak Lifetime Achievement for Excellence in Cinematography in 1992. Besides this Mitra also composed music and, in fact, played the sitar for The River and Pather Panchali. 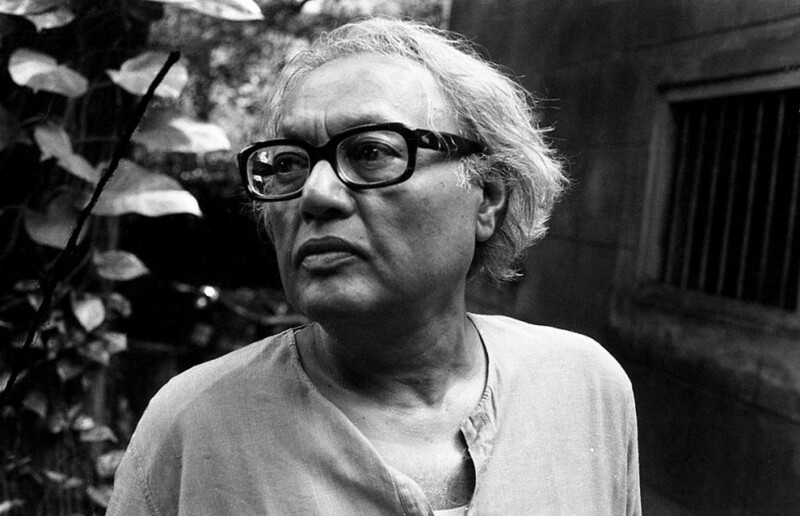 Subrata Mitra passed away in Kolkata on 7th December, 2001.